Students from Division of Biomedical Sciences and School of Pharmacy had the privilege to learn and share plenty of usual and unusual things with the School’s Honorary Professor Dave Kendall for a week in March (2019). In this fascinating journey of life, we encounter countless people; people who we know, who we don’t know, who share close relationship with us and people who do not share any relationship with us, but they end up impacting our lives in various ways. Knowingly and sometimes unknowingly thus becoming very special to us. 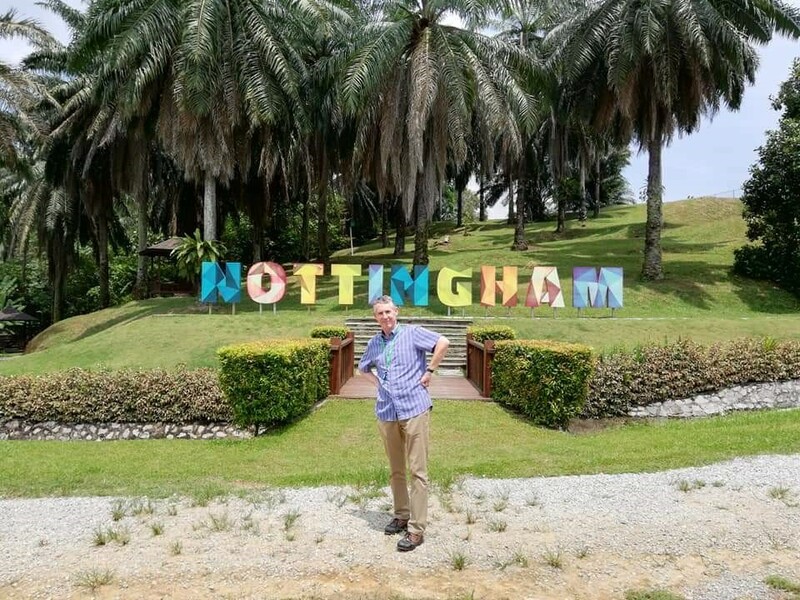 Prof Dave Kendall left positive impressions on many students and colleagues during his 30 years of academic teaching and research. Fortunately, Prof Kang Nee Ting was one of those students and nonetheless, we are the remnants of such memorable past. 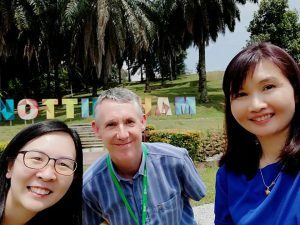 Dr Then Sue-Mian, Prof Dave Kendall and Prof Kang Nee Ting. Prof Dave Kendall was born and raised up in Liverpool and graduated from University of Nottingham with a degree in Pharmacy. From his PhD to post-doctoral research in Neuropharmacology, widespread learning and teaching academic life all the way to pharmaceutical industry, his contributions towards the field of science are worth knowing. His research focuses the pharmacology of G protein-coupled receptor, with a notable interest in antidepressant drugs and cannabinoids. Currently, he serves as a Chief Scientific Officer in Pharm NoVo. Honorary Professor Dave Kendall- A great teacher. He shared his deep insights on many interesting topics including various mental illness and the mechanisms involved and the currently available treatment. He imparted his experience in drug discovery to us as he embarks on a larger mission of finding a new treatment for pain. We look forward to his success and how this medicine can help many others with chronic pain. 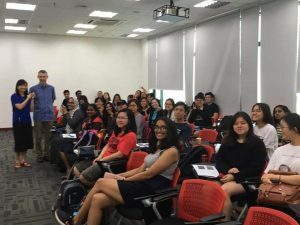 Some of us indulged in an after-class conversation with Prof Dave Kendall where he enlightened us with some words of wisdom. He advised that “Despite all the struggles, what matters the most is our happiness”. 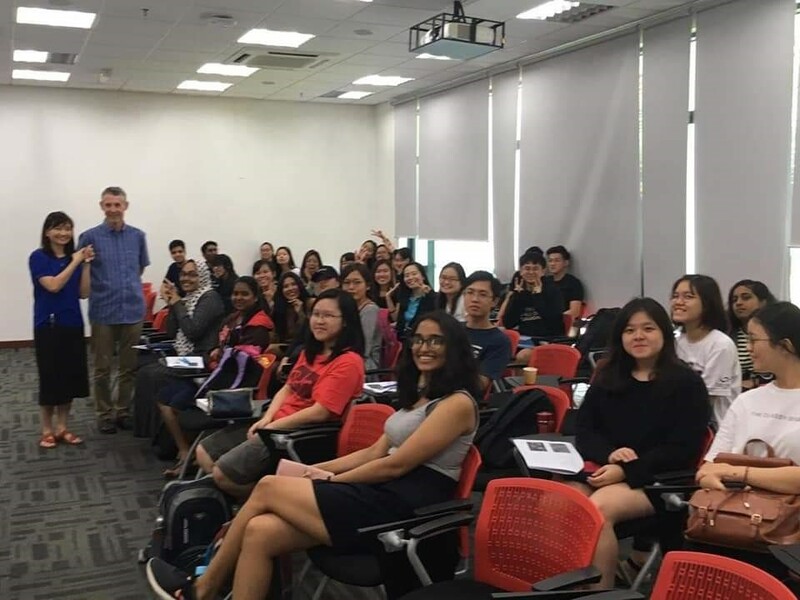 Undergraduate year 2 (Biomedical Sciences and Pharmaceutical Health Sciences) students with Prof Dave Kendall and Prof Kang Nee Ting. Prof Dave introduced a unique approach towards teaching by greeting everyone who comes in late. Apart from being highly knowledgeable, he’s kind and humorous, characteristics which are visible in his lessons too, secret magical ingredients. Thank you, Prof Dave, for being a special part of our lives.